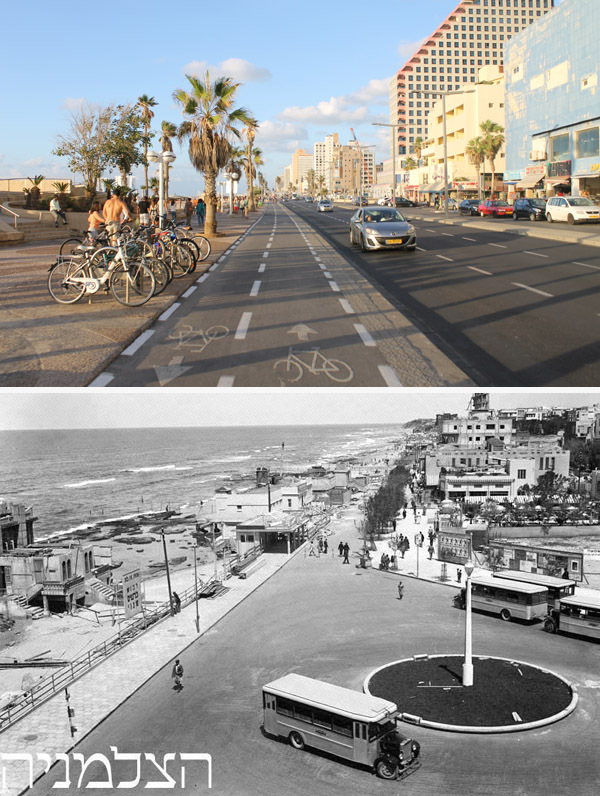 Since the founding of the state of Israel, significant transformations have occurred in the country. One could say that no other nation in history has ever undergone so much rapid change and development in such a short period of time. 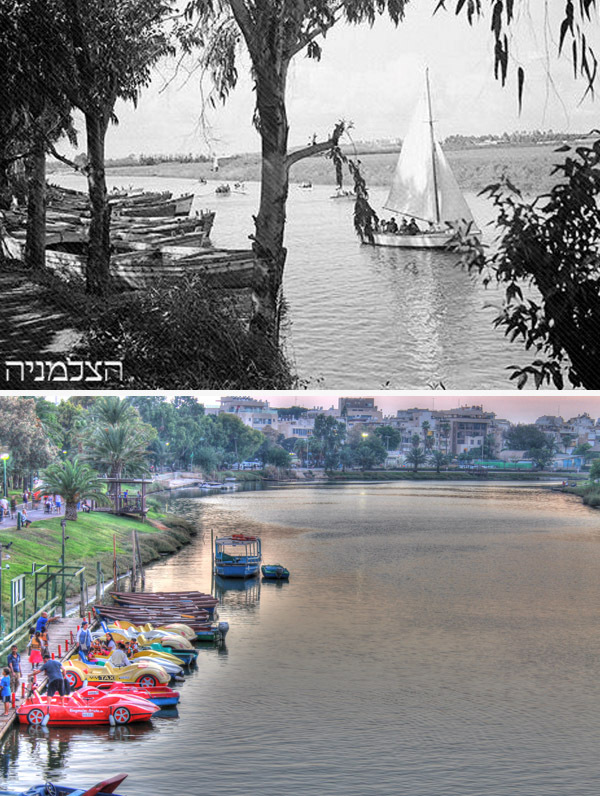 We have selected 11 famous sites in Israel where you can see the transformation for yourself. Enjoy! 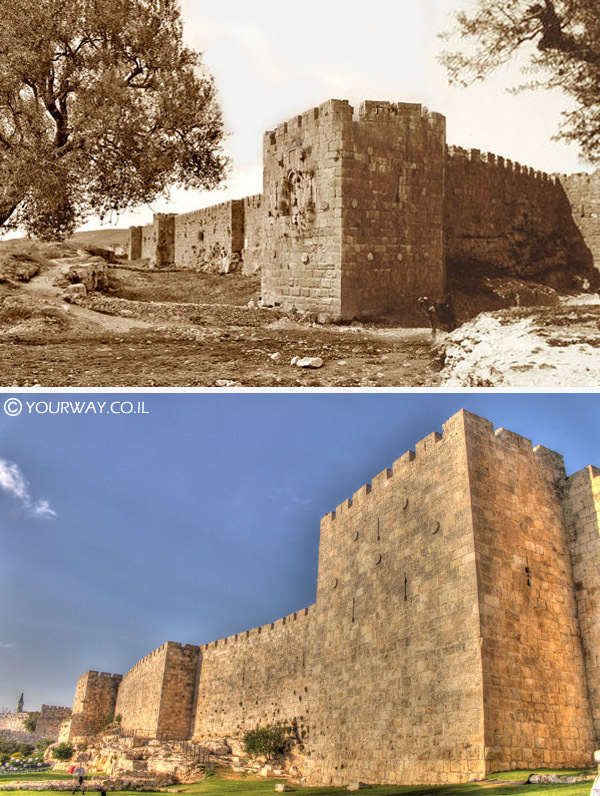 The upper photograph was taken in 1936, during the British Mandate, years before the founding of the State of Israel. 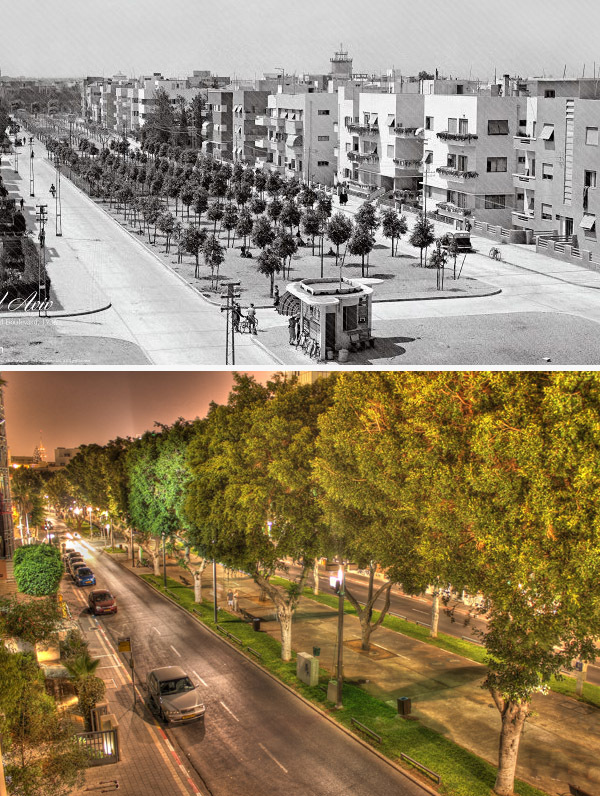 As you can see, the Boulevard was much wider than today, due to increased construction along the periphery, and it was already a central thoroughfare. 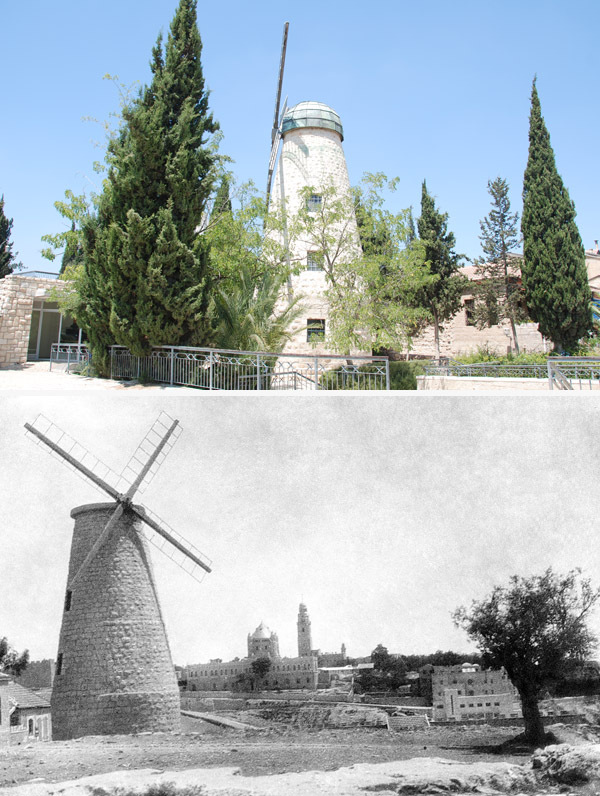 This photograph was taken at the end of the 19th century, before neighborhoods outside of the old city had yet been constructed (the opposite of the situation today, where the New City dwarfs the Old City). Therefore, one can easily grasp the extensive changes which has occurred outside the walls. In fact, not too much has changed in this picturesque natural location. 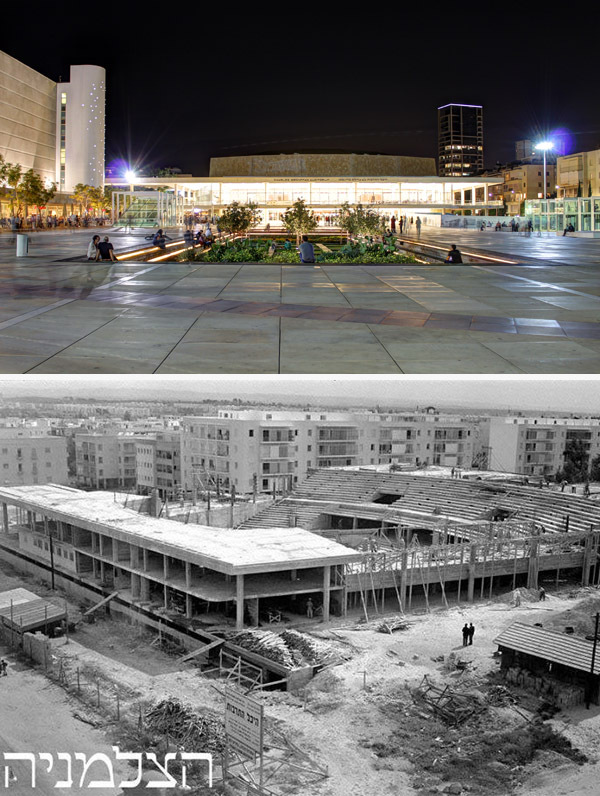 The building process of the Culture Palace spanned over four years, and it was finally inaugurated in October of 1957. Today it serves as one of the central auditoriums of Tel Aviv. 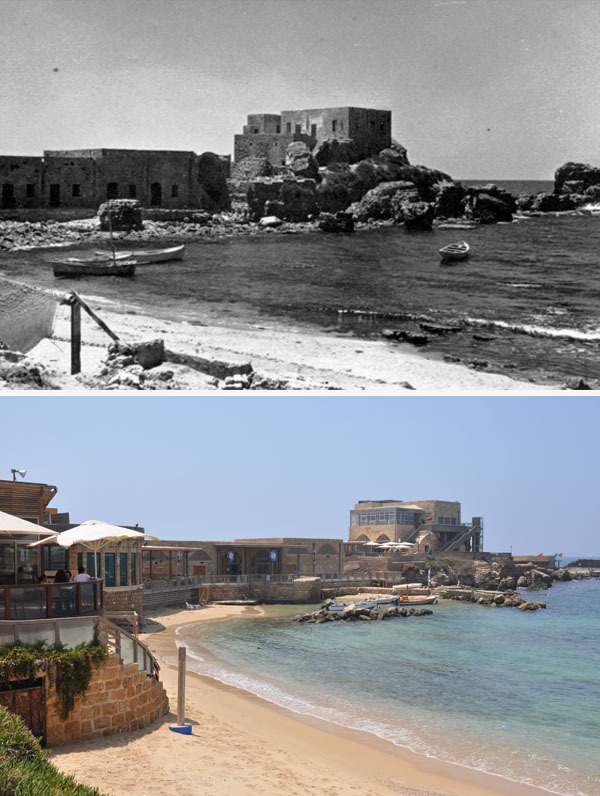 As you can see, the beachfront has undergone a complete transformation and one can hardly recognize the place. The square found in the photo is the west end of Allenby Ave. where today Ophir Tower Hotel stands. 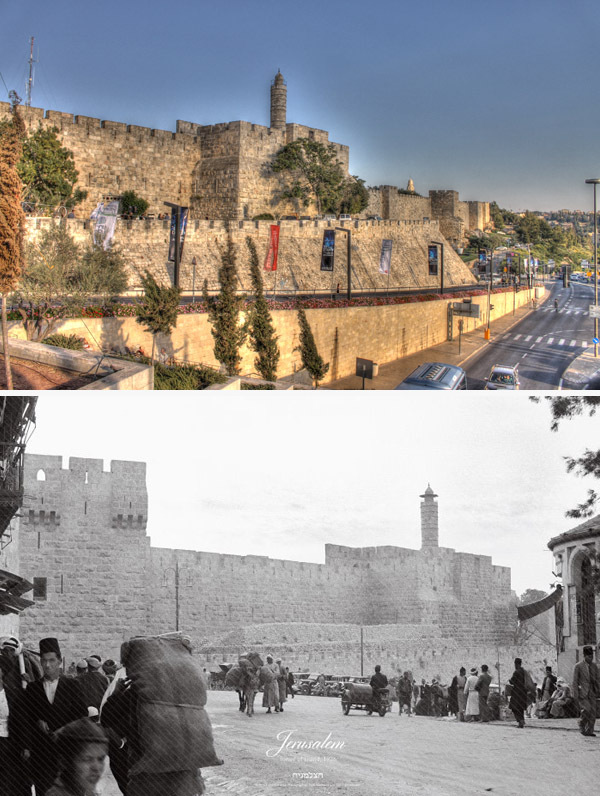 The photograph was taken just outside of the walls of the old city in 1936. One of the oldest harbors in the world. 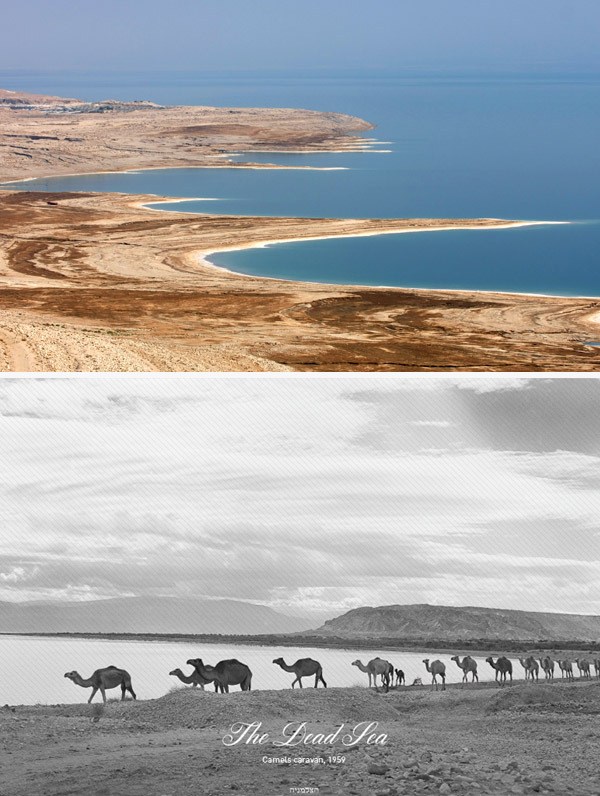 The two photographs were snapped from the exact same location. 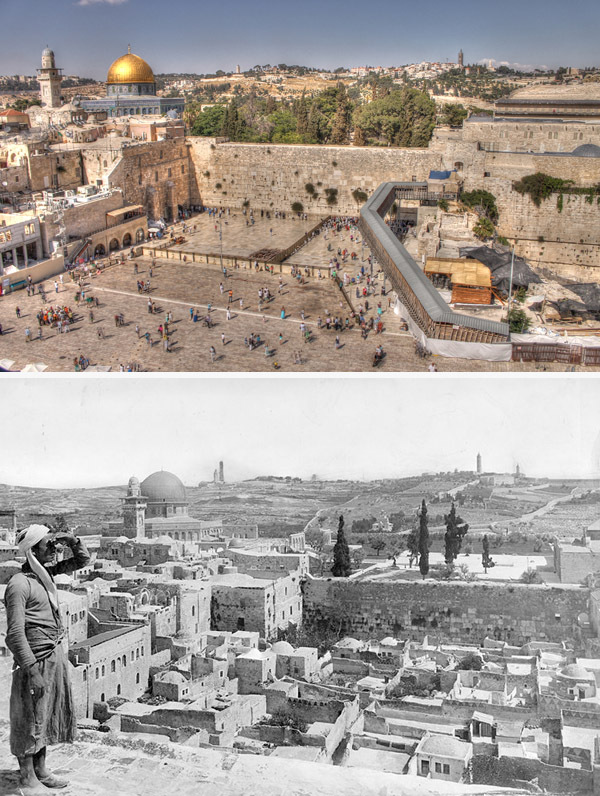 The photograph was taken just before the founding of the State of Israel. 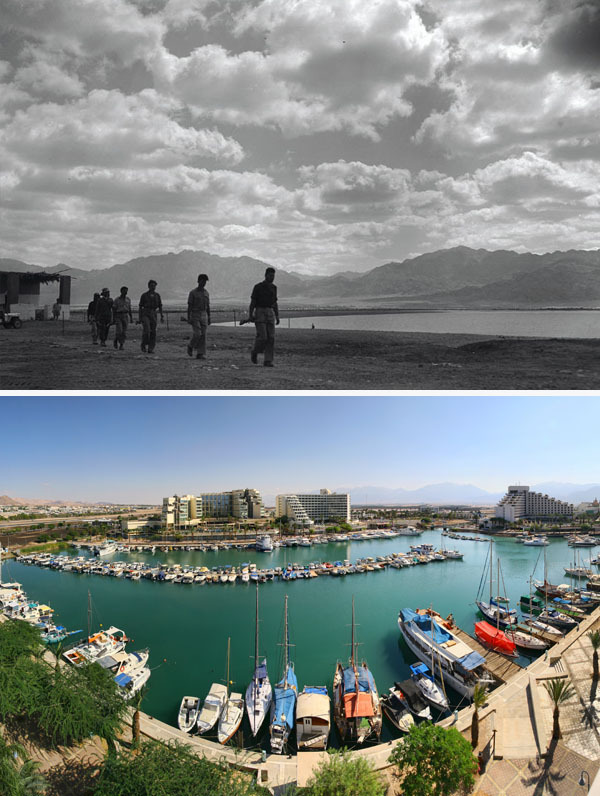 Clearly, the City of Eilat did not quite exist at this point in time. The area is referred to as Umm Al-Rashrash in Arabic. It’s hard to say that the first photograph of the rather plain site was taken in the park because the park would not be constructed for many years to come!